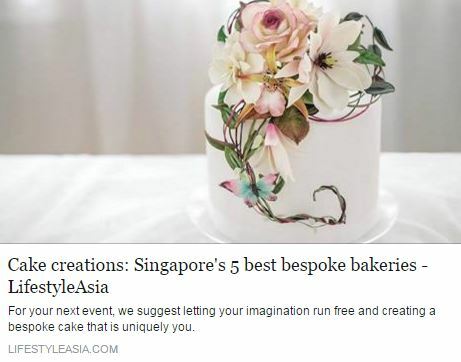 Thank you very much to the team from Lifestyle Asia for featuring us as one of Singapore’s 5 best bespoke bakeries. We would like to thank all our customers whom have trusted us with their celebrations, and endeavor to work harder towards crafting better and yummier creations for your celebrations! “Flourish Cakes is run by a former boutique owner who beautifully merged her design talents with her culinary passion. Each cake comes with its own unique flare to suit your requests. Much care and emphasis is paid to the use of quality ingredients and attention to detail, which means you get a cake that looks and tastes incredible.